ɪ'ᴍ ᴋɪɴᴅ ᴏғ ʟᴇᴀᴠɪɴɢ sᴄʀᴀᴛᴄʜ - ɪ'ʟʟ ɢᴇᴛ ᴏɴ ᴀ ᴄᴏᴜᴘʟᴇ ᴛɪᴍᴇs ᴀ ᴍᴏɴᴛʜ ᴛᴏ ᴍᴀᴋᴇ ᴘʀᴏᴊᴇᴄᴛs ᴀɴᴅ ᴄʜᴀᴛ ᴛʜᴏ. ɪ ʟᴜᴠ ᴍɪɴᴛ ᴄʜᴏᴄᴏʟᴀᴛᴇ ᴄʜɪᴘ ɪᴄᴇᴄʀᴇᴀᴍ! ᴡɪᴛʜ ɢᴀᴍᴇs, ɪ'ᴠᴇ ᴍᴏsᴛʟʏ ᴍᴏᴠᴇᴅ ᴏɴ ᴛᴏ ᴘʏᴛʜᴏɴ, ʙᴜᴛ ɪ'ᴠᴇ sᴛᴀʀᴛᴇᴅ ᴀɴɪᴍᴀᴛɪɴɢ ᴏɴ sᴄʀᴀᴛᴄʜ! Don't forget to check out @ⓨⓞⓡⓚⓘⓔⓟⓘⓔ➎!! Her stuff's really cool! Free profile pics just ask and follow me! 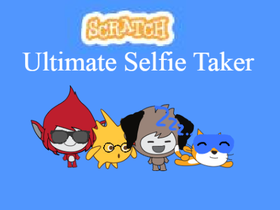 Learn how to become a great Scratcher!